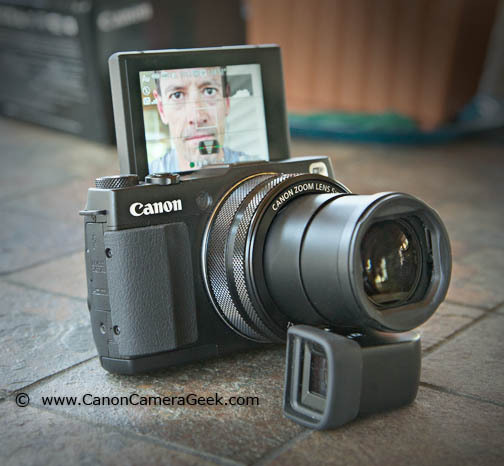 Here is my own Canon G1x Mark II first impression. I love the size of the sensor, the size of the camera, and the image quality. I don't like the lack of a built-in viewfinder. Updated for 2017: Here's the full Canon G1X Mark II review. I really considered buying the first version of Canon G1x, but the reviews were quite mixed. When the rumors came out about an improved lens with better focusing, my in depth research began. Although I really love the size of my Canon G11, the ability to shoot Raw files, and the inclusion of a hot shoe for external flash, I've never been thrilled with the photos that come from its postage-stamp sized sensor. The introduction of the G1x late in 2012 and consequently the G1x Mark II in February of 2014 really peaked my interest. 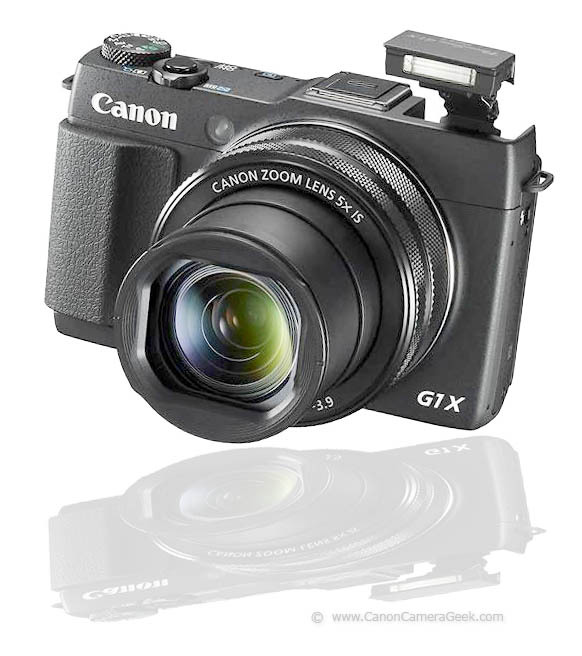 The G1x cameras represent the first semi pocketable digital cameras with big sensors. These two camera fit in large pockets like those found in cargo pants. They are a little too large for standard pants pockets, mostly because of the size of the lens. I enjoy macro photography and one of the big improvements in the Mark II version of the G1x is the close-focusing ability of this newer Canon point and shoot camera. 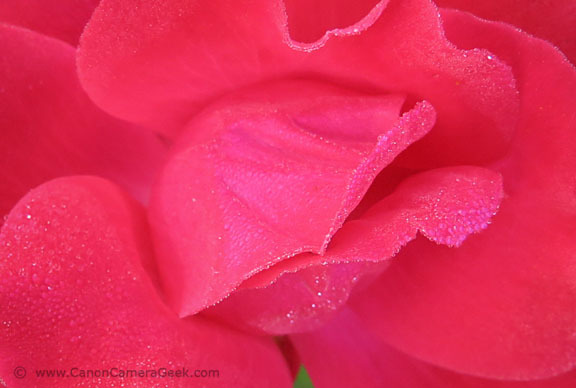 The macro abilities of the original Canon g1x were abysmal. The big adjustment for me in shooting this photo was the lack of an optical or electronic viewfinder. I surprisingly found the spot touch LCD macro focusing to be very easy to use. 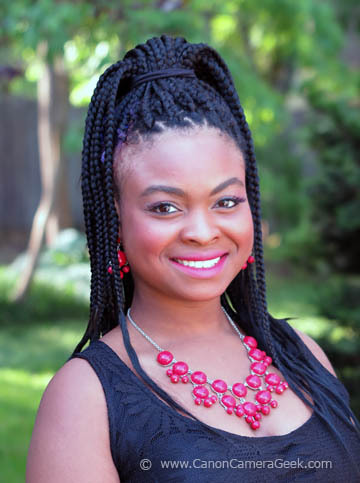 This close-up was taken using the self-timer and a tripod with the lens set at f/9 for 1/100 second. 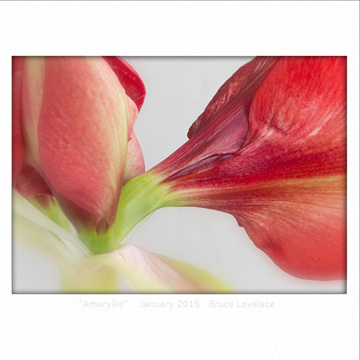 I just added some more macro photography photos taken with the G1X Mark II. This time I used the electronic viewfinder, my favorite accessory for the G1X Mark II. I was curious to how good the bokeh would be at full zoom and wide open. The G1x maximum aperture is f/3.9 at full zoom. I was happy with the results. Full zoom is a 120mm equivalent and the G1x mark II has 9 blades in the diaphragm for smooth, natural-looking blur in the background. One of my goals is to improve my skills at shooting video so I decided to shoot a quick video to get an impression of how good this latest Canon shoots video. I walked out my back door, set the g1x Mark II on a tripod and shot this video. Go full screen so that you can see how this camera did with focusing. The overall sound quality was good, but it also records the sound of the motor that zooms the lens. These leaves were about 4 feet off the ground so I had to compose the shot with the camera held at about 7 feet off the ground. This was the first photo I took using the tilting screen feature of the G1x Mark II. I held the camera at arm's length out over these plants. Camera setting were ISO 1250 at f/6.3 for 1/320 second I used Analog Efex Pro 2 to enhance the photo once I loaded it into PhotoShop. When I first considered buying the G1X Mark II, it was because I did a serious comparison with its predecessor, the original Powershot G1X. 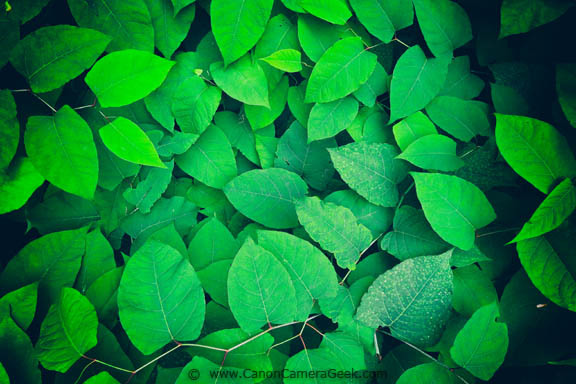 Here is a Canon G1X Mark II vs G1X article. 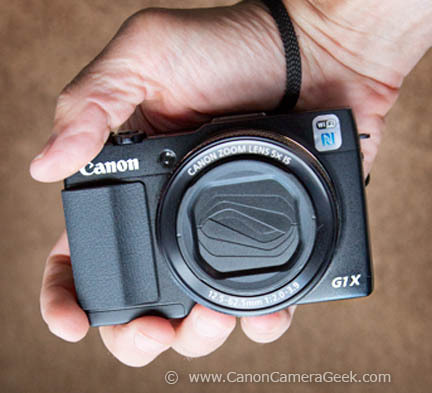 This brief review of the Canon G1x Mark II was only my first impressions on this camera. Look for more articles as I give this new purchase a workout in a variety of photographic situations. Here is an article covering some of the available accessories for the G1x Mark II. Consumer Reports Magazine: The October 2014 issue (p. 47) of Consumer Reports says that the Canon G1X Mark II is "our best-scoring camera ever"
First selfie taken with the Canon G1x mark II camera. The G1x Mark II fits in the palm of your hand.